I have a new PC Dell SFF9020 isntalled Windows 7 Pro 32bit, then I upgrade to Win10 Pro sucessfully. - During using Ms.Office or any application, PC hang (can not use mouse, keyboard and can not remote desktop). It must to Press Power to reset PC. Please kindy help me find the root cause. When you did the upgrade to Windows 10 did you download and install all of the Windows 10 drivers for the hardware on your computer? If not, click the link below to choose the OS installed and download the drivers. If you have installed the drivers let me know by posting back on this forum thread. 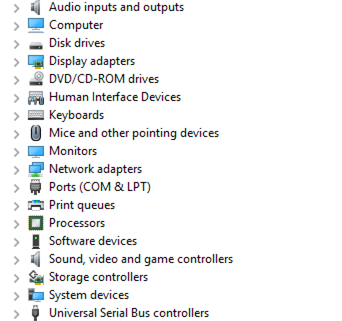 I have already installed driver for Windows 10 32bit, but the PC still hang. You may want to do a clean install of Windows 10 and then reinstall all the updated Windows 10 drivers. The links below will help you with installing Windows 10.
both of case, PC stills hang. But on 64bit, there is no issue. Do you have any recommedation and driver for 32bit? Now, All applications is 32bit, so I can not use 64bit for inhouse software. Did you choose the Windows 10 32 bit OS drivers from the drivers and support site below? Yes. I choose Windows 32bit from Dell driver website. Try installing the chipset drivers and then restart. Open up device manage to see if there are any question marks or exclamation marks present. If so, then reinstall the drivers in the correct order from the link below. Your system may not have some of the drivers listed. I installed the all drivers from Dell website, but the issue still not solve. How can I check and fix this issue? It looks like all the drivers are installed. There are no exclamation marks in device manager. So, office is still hanging?